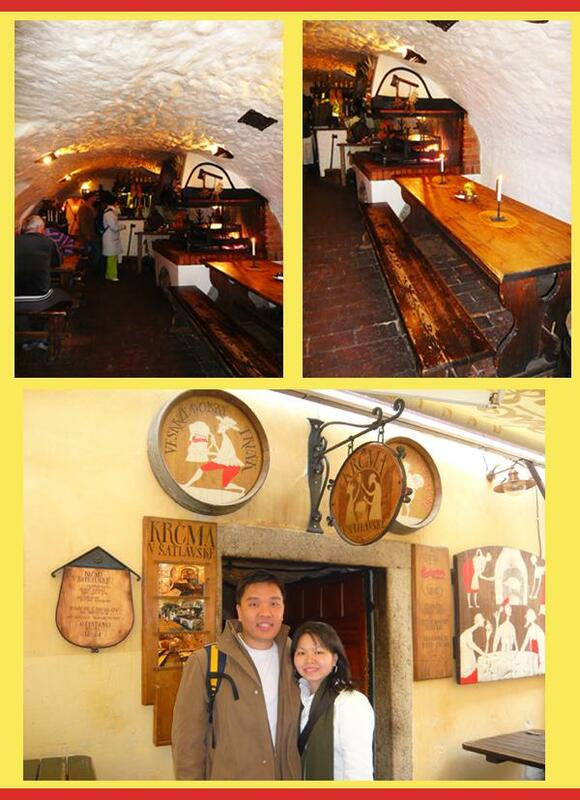 Krčma V Šatlavské (Tavern in the Dungeons), located along Šatlavské street in the center of Cesky Krumlov (near the town square), offers an unique dining environment in the former dungeons of the old town prison. 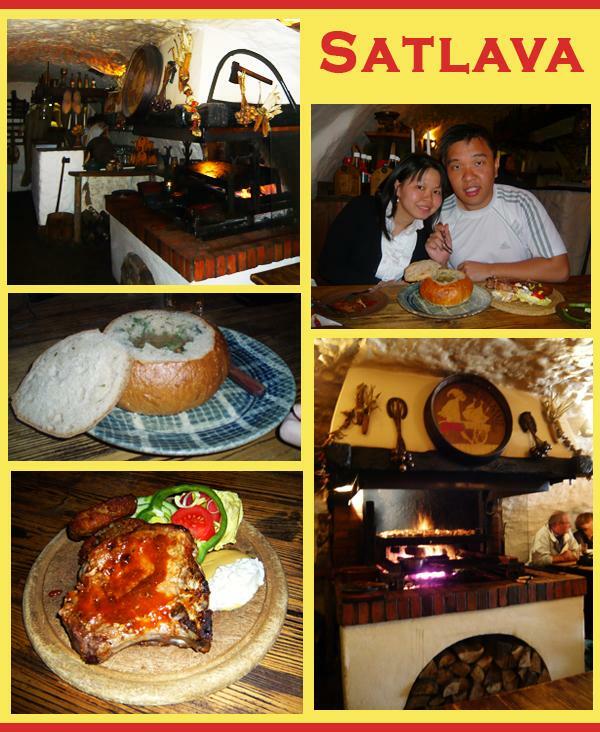 Most of the meat are grilled over an open fire stove to provide an authentic medieval feast feel. While we got a good view of the cook preparing the food over the open fire, our seats are the worst in the entire tavern because after the meal, we ended smelling very much like the food that the cook was BBQ-ing. Onion soups served in a bread bowl, for 45Kč. These soups, with the edible bread bowl, are almost a meal by themselves. Looks like a really nice place too. .-= David Jr´s last blog ..Four Seasons Rhu Bar Langkawi =-.